Bamboo is amazing. It's got so many uses and is one of the most sustainable materials out there. That's because it grows super fast (did you know it's actually in the grass family? ), so there's no need to worry about harvesting too much of it. In fact, in many places, bamboo is considered invasive and hard to remove. So it only makes sense to use it in everything from furniture to kitchenware to health products. 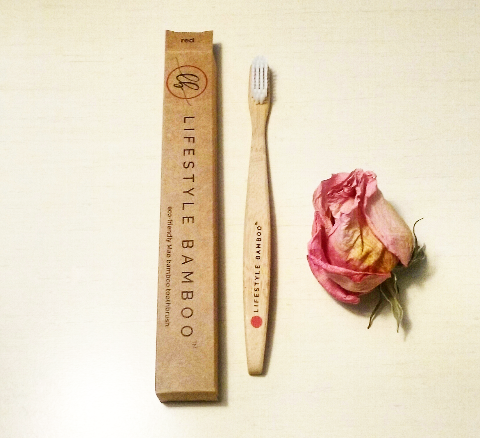 That's where cool companies like Lifestyle Bamboo come in: They sell sustainable products made from the bamboo plant. Bamboo is so versatile that is can be used in everything from toothbrushes to facial cloths. 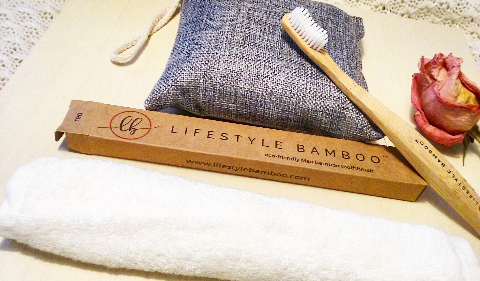 That versatility is captured in Lifestyle Bamboo products: I was fortunate enough to try out their bamboo toothbrush, air purifying bag, and facial cloths. Lifestyle Bamboo also sells baby swaddle blankets made out of bamboo muslin, but obviously that doesn't apply to my life at this stage of the game (still got a ways to go before I need something like that!). 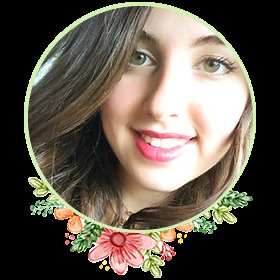 That said, I admire Lifestyle Bamboo's dedication to providing their customers with high quality, sustainable products that can be reused over and over again. Total zero waste win. Not to mention all products are designed and warehoused right here in the U.S.A. (Louisiana to be exact). It's a family owned business, so all their products are hand-wrapped before being shipped out to you. I think that's a wonderful touch, don't you? Their mission is to provide premium ecofriendly products that are both stylish and essential. But most importantly, they designed each of their products to last. And trust me when I say they've certainly been lasting. Ready to see what I thought of each product? Keep reading. Why you want it: This comes completely packaged in eco-friendly material and the toothbrush has a 100 percent bio-degradable handle (so cool!). My review: As some of you might know, I'm no stranger to ecofriendly toothbrushes. That said, I really wanted to try a traditional, bamboo toothbrush. A lot of people in the zero waste community use them, instead of the conventional plastic toothbrushes. I was really excited to take part in that, because lets just say plastic toothbrushes are not something my mouth enjoys. In fact, I noticed I would always get cold sores whenever I used a plastic toothbrush, even if I changed it every 3 - 4 months (as the American Dental Association [ADA] recommends). Also, I always noticed disgusting mold growing on the handle of my plastic toothbrush. I would always wash it off, but it would always grow back. Both these observations, and my decision to go zero-waste, influenced me to try a bamboo toothbrush. Suffice it to say, I was not disappointed. This toothbrush does a great job of cleaning my teeth and gums. It works absolute wonders and doesn't irritate my mouth the same way the plastic toothbrush was. In fact, I haven't gotten a single cold sore since! Also, this toothbrush has not grown any mold what so ever on its handle. Super impressive. I've been pairing it with my own DIY all-natural, zero waste toothpaste recipe and its been working wonders. My teeth feel so clean and refreshed after brushing. In fact, I've actually come to look forward to brushing my teeth. The handle is made from mao bamboo, and the bristles are BPA-free. Since mao bamboo is naturally resistant to mildew, I guess that explains why I haven't noticed any mold growth. The other really great thing about this product is it's color labeled. The bottom of the brush has a little colored dot, which makes it easy to identify your brush opposed to someone else's. Lifestyle Bamboo gives you the option to choose between color coded handles and plain handles: You simply need to select multi-color or original when ordering. For example, if my whole family decided to use Lifestyle Bamboo's toothbrushes, we would definitely invest in the 'multi-color' ones so that we can distinguish which toothbrush belongs to who. Pictured above is the red color coded brush, but there are three other colors: blue, green, and yellow. Also, you can choose to buy an adult sized toothbrush (7 1/2 inches) or a child sized toothbrush (5 1/2 inches). Obviously the one I tried was adult-sized, but I like the fact they give you the option! Perhaps the best part about this toothbrush is the fact the handle is completely compostable. At the end of its life, you can return it to compost or soil and it will decompose without pollution. Sweet, right? And don't worry about the packaging either: It's all made from eco-friendly, recyclable material and no plastic! So all in all, I highly recommend this toothbrush. Why you want it: These air purifying bags are filled with bamboo: All you need to do is charge them in the sun and they'll eliminate odors without needing chemicals to get the job done. isobutane, sorbitan oleate, sodium phosphate, and propylene glycol to name a few. Don't believe me? Just look at the ingredients list to one of Glade's room sprays "Clean Linen": You'll see these ingredients listed for yourself. Yuck. In order to avoid that, I wanted an all-natural air purifier that could be reused again and again. Enter, Lifestyle Bamboo's air purifying bag. It's filled with 200 grams of moso bamboo. 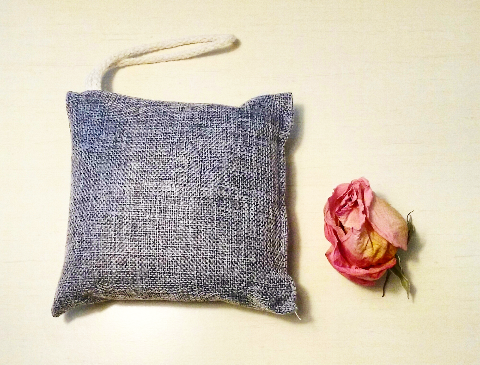 Each bag is 6 inches by 6 inches in size and has an attractive grey linen fabric with a convenient rope handle attached to it. You can pretty much hang it any room you want to get rid of undesired smells. It's all-natural, non-toxic, chemical-free, and of course, unscented. Which pretty much means my nose is mega happy around this thing! I like to leave it in my room the most, but sometimes I put it in the bathroom when it needs to be aired out. It also really helped when my apartment was being repainted: I cannot stand the smell of paint and an area right outside my room was being repainted. Thankfully though, with this purifier in my room, I didn't smell it at all! It did a great job of absorbing the odors and keeping them outside my room. This little bag covers up to 90 square feet of area (pretty impressive, right?) and will naturally absorb odors and even moisture that causes mold, mildew, and bacteria. You don't have to just leave it in your bedroom or bathroom though: It can work anywhere, like in pet rooms, vehicles, closets, kitchens, basements, diaper pails, and even the refrigerator. Talk about versatile! And it's super easy to use: All you need to do is leave it in direct sunlight for at least one hour before using it. This will charge the bamboo, activating its odor absorbing properties. This step is crucial, and must be done once a month. If you feel it needs to be charged more than that, you may do so. However, with the proper care, this baby can last up to two years! So ordering a set of two of them will cover you for 4 years (assuming you don't use them at the same time). That'll certainly save money in the long run. The best part is, when all is said and done, you can also compost the bamboo inside the bags. 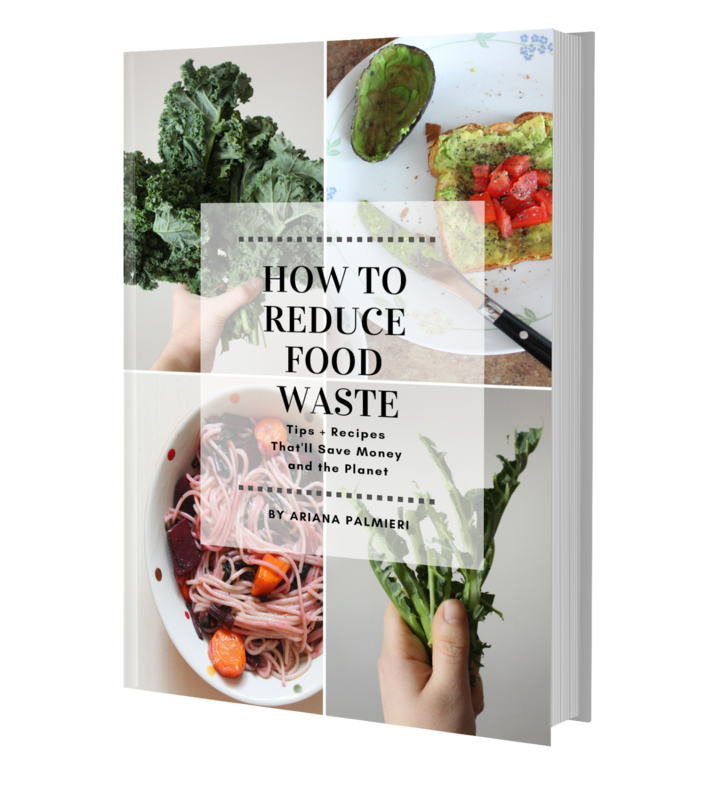 Just add it to your compost bin or directly to soil. You might even be able to reuse the fabric too, assuming there's not too much wear and tear on it. I think I'll use mine as an herb sachet at the end of it's life (you know, fill it up with some lavender and chamomile flowers? I love doing stuff like that and putting it under my pillow - it helps me sleep better at night and relaxes me). So all in all, I totally recommend investing in these little powerhouses! Why you want it: This super soft washcloth is great for using on babies - or yourself (I use it to wipe my face after cleansing it!). My review: I have a confession to make: I don't like using the reusable towel in my bathroom on my face. Everyone's hands are constantly touching it, and with me being a germaphobe, it's not a good combination. Unfortunately, that left me with only one other option: Toilet paper. After cleansing my face, I needed to dry it somehow, so I would automatically go for the toilet paper. It was convenient, but so wasteful. That's why when I received this from Lifestyle Bamboo, I was forever grateful. I could finally wash my face and not waste paper in the process! Not to mention this is made from 100 percent bamboo rayon from bamboo fibers, which is certainly a more ecofriendly alternative. 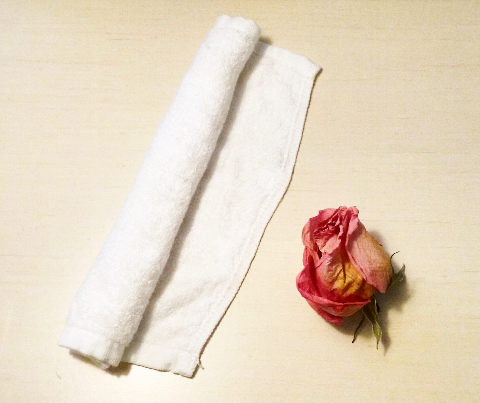 While any facial towel would've been better than using toilet paper, one made from bamboo fibers is pretty darn sustainable. That's because most towels (facial or not) are made from cotton or cotton-polyester (and unfortunately, cotton is one of the most toxic crops grown because it uses 20 percent of the world's pesticides and herbicides). So, like I said, it's a good thing this was made out of bamboo fibers. As far as it's endurance goes, I've been using it for a few weeks now and it's still in great shape. I use it to wipe my face off after cleansing my face, morning and night. It's great for makeup removal and just wiping down my face (like directly out of the shower). It's also super soft, so if you have ultra-sensitive skin, you pretty much need this in your life. You'll thank me later. There are times I literally pick it up just to feel it (yeah, I know I'm weird). I do recommend washing it at least once a week though, depending on how much makeup you use. I don't use much, so there wasn't too much dirt on it by the end of the week. That said, it's easy to hand-wash. I just use The Simply Co.'s all-natural (and zero waste) laundry detergent on it. I fill up my sink with a little bit of warm water, put a little of the detergent in, and fill the rest of the sink up with cold water. Then I add the washcloth in and let it sit for about 10 minutes. Then I hang it on a hanger to dry - super simple! Also, it comes in recyclable packaging (plastic free). Score! I totally recommend this to anyone who has a baby or needs a good face towel. Remember: Don't settle for toilet paper as a facial wipe! I really loved communicating with Lifestyle Bamboo, they were so open and cooperative. I love how the products are zero waste friendly: From their packaging to their products, everything can be recycled or composted! I can reuse each and every single one of these products (some of them for years!). I adore how each of the products utilizes bamboo in some form or other. The prices on these products are very reasonable and I feel comfortable recommending them you all because of that. These products are super simple to use and very versatile - specifically the air purifiers and the washcloths! 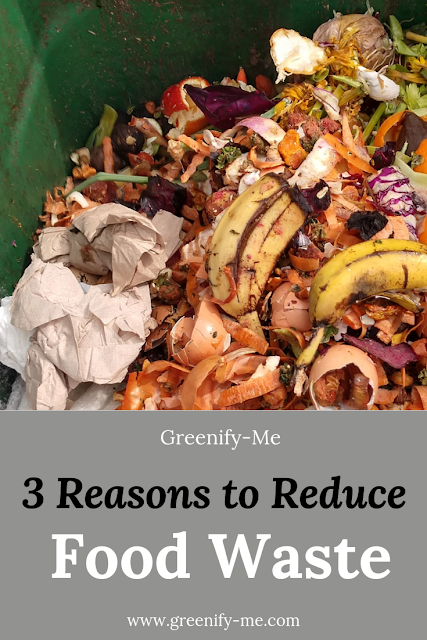 Using these products seriously minimizes the amount of waste and chemicals I put into the environment. All products actually do what they promise to do - no fibs here! There are so many health benefits to switching over to bamboo-based products (after all, my cold-sores went away thanks to the bamboo toothbrush, remember?). I love how everything is designed and shipped in the U.S.A.: Definitely helps keep transportation pollution down! I wish I had more of the washcloths! Other than that, that's it. I literally cannot think of anything bad to say about this company. Sheesh. Conclusion: I highly recommend giving one (or all) of these products a shot. You will not be disappointed. They're clearly made to last and high quality. Not to mention these are essentials all zero-wasters (and greenifiers) should have in their home! I absolutely love the versatility of Lifestyle Bamboo products: While they're a family-oriented company, you don't have to have a child to enjoy these products. Honestly, I think just about anybody could use these on the daily. 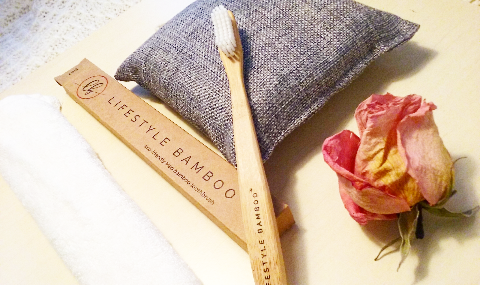 So if you love bamboo (and the zero waste lifestyle), be sure to give Lifestyle Bamboo a shot! This post was sponsored by Lifestyle Bamboo. All thoughts remain honest and not influenced by a third party.